Siddhārtha Gautama was one of the most pioneering thinkers in history, whose ideas and convictions overlapped with artists, musicians, poets and philosophers as diverse as Beethoven, Leonardo da Vinci, Thomas Alva Edison, Henry David Thoreau, Mary Baker Eddy, Marcus Tullius Cicero, Heraclitus, Socrates, Lao Tzu, Zhuangzi, Rabindranath Tagore, Ibn Khaldun, Hafiz, Rumi, Goethe, Voltaire and Chinua Achebe. As with Henry David Thoreau, self-reliance, self-sufficiency, sustainable views on nature and personal responsibility were core to Siddhārtha Gautama’s thinking. As with Thomas Edison, innovation and invention were vital to Siddhārtha Gautama. Below is my interview with Oxford Professor Richard Gombrich, founder of the Oxford Centre for Buddhist Studies. Richard Gombrich was born in London in 1937. His father, Ernst Gombrich, moved to England from Vienna in late 1935. He was an historian whose book – The Story of Art, has been translated into more than 30 languages and made the family fortune. He died in 2001 as Sir Ernst Gombrich, OM, CH, after having lived for over 50 years in the same modest house in Hampstead. Richard’s mother was a pianist born in Prague. The Gombrich family contained distinguished musicians. The dominant passion of Richard’s parents was classical music. Richard was sent to St. Paul’s School, London, which his parents chose because it had been founded by Dean Colet in 1509 “for children of all nations to be taught indifferently.” He was brought up to care about ethics and what is now called “high culture”. His father admired Goethe and Voltaire, and had no religion. After two years of compulsory military service, spent in Germany, Richard progressed from St. Paul’s to Magdalen College, Oxford. Half way through his four-year course he changed from Classics (Latin and Greek) to Oriental Languages – Sanskrit and Pali. Graduating in 1961, he had a Harkness Fellowship for two years at Harvard, where he took an AM in Sanskrit under Professor Daniel Ingalls*. However, his interest in Buddhism was even greater than that in Sanskrit, and he wrote his Oxford doctoral thesis on the practice of Buddhism in Sri Lanka. For this he studied some anthropology and did a year’s fieldwork in a Sinhalese village. When he returned to Oxford, now as a Lecturer, in 1965, he was befriended by a sociologist of religion, Bryan Wilson, and has since remained interested in this subject. His earlier training, on the other hand, gave him an interest in philology, and an awareness of its demands for painstaking accuracy and a respect for sources. At Oxford, Richard worked as a University Lecturer until 1976, and then was chosen as the Boden Professor of Sanskrit, with a Fellowship in Balliol College. Richard held office in the Pali Text Society for about 15 years, ending as its President. He is also President of the UK Association of Buddhist Studies, and an honorary life member of the International Association of Buddhist Studies. 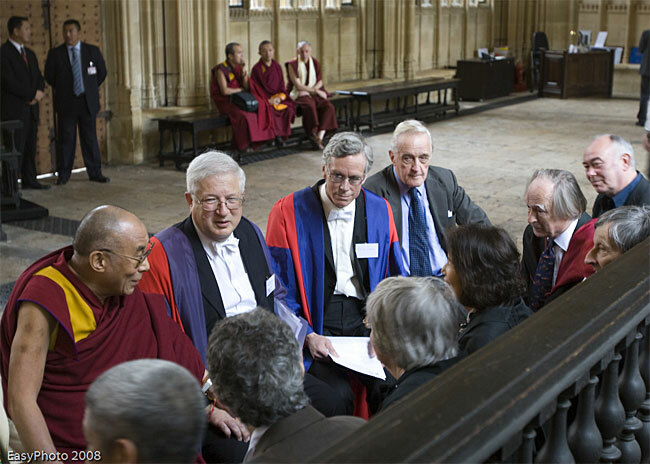 He founded Oxford Centre for Buddhist Studies and is editor of its Journal. Bechert, Heinz, Gombrich eds. The world of Buddhism: Buddhist monks and nuns in society and culture. London: Thames & Hudson, 1984. Theravāda Buddhism: A social history from ancient Benares to modern Colombo, London: Routledge and Kegan Paul, 1988. Buddhism transformed: Religious change in Sri Lanka (authored with Gananath Obeyesekere), Princeton, NJ: Princeton University Press, 1988. Paperback ed. 1990. Buddhist Precept and Practice. Delhi: Motilal Banarsidas, 1991. How Buddhism Began: The Conditioned Genesis of the Early Teachings, London: The Athlone Press, 1996. *Like Richard Gombrich, The Editor of Brick Project 2106 also studied Sanskrit literature under Prof. Daniel Ingalls at Harvard University. Editor’s interview questions below in blue, Prof. Gombrich’s responses in black. Forests are a frequent backdrop for the mythological history and folklore of India and Sanskrit literature. As a child I remember my grandparents telling me Sanskrit stories of Krishna and Arjuna in Khandava Forest (खाण्डव वन) as part of the epic Mahabharata. Do forests play a part in Buddhism? In India from the earliest times the village and the forest were embedded in people’s minds as a pair of complementary, contrasting concepts. The village stood for civilization, for the works of man, for structure, for norms. The forest was nature untrammeled, the mysterious and unpredictable wilderness, both attractive and frightening, where anything goes. Perhaps as far back as records go, there were individuals who left the life of society by literally walking out of the village and living as wanderers or hermits. One of them was the man who became known by his achievement, the Buddha: the Enlightened One, or more literally the Awakened One, who had woken from the murky lack of self-awareness in which ordinary people live. According to the legend, which has at least an allegorical truth, the Buddha was brought up in a village (even if his father was called a “king”) to inherit wealth and power; but on confronting the realities of ageing, disease and death he fled into the forest and spent six years there, almost starving to death, looking for the truth. What he found he called the Middle Way. It was a Way because it led to salvation. It was the Middle Way because it led between the life of the householder, bound to the senses, and its extreme opposite, the life of the solitary ascetic who mortified the flesh. This discovery led the Buddha to create what I think one can claim to be the world’s longest lasting institution, the Sangha (the “Community”) of monks and nuns who are to dedicate themselves to treading the middle path. The Sangha gave them an environment in which they could individually find salvation, and also pass that opportunity on to later generations by preserving the Buddha’s message. Periods of individual meditation in the forest were permitted, even encouraged, but the Sangha were never to lose all contact either with the laity (on whom they depended for food) or with each other, on whom they depended for advice and moral support. So the Buddhist Sangha represents a life style and world view which perfectly combine village and forest. There is another important way in which the Sangha instantiates a middle way which is not a timid compromise but a bold creative advance. The Buddha lived in the fifth century BC. At that time several civilizations had already created codes of law by which to live, but so far as I know all of them were ascribed to authors who were either divine or great sages of the past. Their laws were therefore considered beyond criticism and unchangeable. When the Buddha created his community he soon saw the need to lay down rules both for individuals and for regulating community life, and these were recorded in a long book which traditionally stands at the beginning of the Buddhist canon. This record cannot be taken literally as historically accurate throughout, and later generations must have made changes, both intentionally and inadvertently. But we can clearly see that the Buddha proceeded by case law. When he encountered a new situation, he sometimes changed one of his previous rules, or even rescinded it, advancing by trial and error. The very fact that this record exists at the heart of the Buddhist canon shows that the Buddha did not regard himself as omniscient and did not require his followers to do so either. I gather that you have been studying the mind of the Buddha for much of the past 40 years, and have presented in your book a kind of summary of your conclusions. You emphasise that this was a pragmatic thinker. Moreover, when looking at some of your research, I feel like I could just as well be reading about da Vinci, or Edison or Cicero, in terms of his vastly inventive and innovative intelligence. Well, the Buddha’s range of interest was rather narrower than that of da Vinci or Edison; but by that I do not intend to belittle him. He himself emphasised that his purpose in teaching was simply pragmatic: to help others achieve what he had achieved, to find the tranquil and lucid happiness which meant that this would be his last life, because he had escaped forever from the cycle of rebirth. Pure theory he regarded as a waste of time. Even so, he was surely an intellectual giant. Earlier Indian thought had often been evocative and insightful, but it operated mainly through myth and metaphor, and never clearly differentiated the literal from the figurative. While the Buddha too made much use of metaphor, he was the first thinker to use abstraction as we do. I think that the most important use he made of this discovery was to analyse what we normally think of as objects, as things, and declare them to be processes. He did not even have a proper word for “process”, but just as Heraclitus in Greece (pictured here at left), who was his senior contemporary, saw fire as the basic constituent of the world, the Buddha too saw the phenomenal universe as dynamic through and through. Nowadays people usually see this discovery of the Buddha’s as just like modern physics, which has dissolved the world perceptible to our senses into processes. That is a fair analogy. Yet I think we must beware of claiming that the Buddha anticipated modern physics, because he was not interested in physics at all: he was interested in our experience. 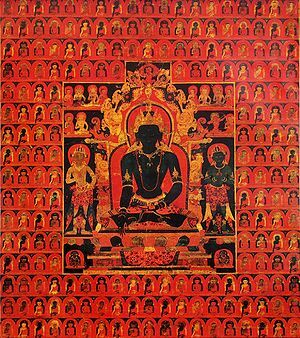 The most important use that the Buddha made of his discovery was to apply it to us, living and sentient beings. Buddhism became famous for its denial of the soul. But throughout history this denial has very often been misunderstood. He denied that there was such a thing as the soul, whether or not you choose to regard it as material. This meant there was nothing unchanging at the centre of each individual being. Sometimes “no soul” is translated as “no self”; the Buddha denied that we have a self which does not change over time. Like everyone around him, he believed in rebirth, and indeed told stories about himself in former lives. What crucially links me to myself in a former life, or to myself in a future life, is the same as what links me to the person I was yesterday or will be tomorrow. The link is summarised in the term karma, which refers to moral character. If I do good, I not only benefit the outside world, but also become a better person; and of course the other way if I do wrong. Karma is the best illustration of the Buddha’s idea of process, because it is neither random nor wholly determined, but in constant change, under the influence of causal factors which are probably too many and too complex to be perceived. Personally I do not believe in karma, and this is why – as I often have to explain – I do not call myself a Buddhist. It is a corollary of the Buddha’s karma doctrine that the world is a just place, in which good deeds always ultimately meet their reward and bad deeds their punishment, however long it may take. I would love this to be true, but unfortunately my observations do not allow me to believe it. However, this does not diminish the magnificence of the Buddha’s moral achievement. For both his capacity for abstraction, which enables generalization, and his view that living beings are essentially constituted by their moral character, which they can always modify, led him to conclude that all living beings are on an equal footing, for each of them is morally responsible for his or her own actions. At this point it is more useful to talk about all mankind rather than “all living beings”. For the Buddha, all human beings are morally on a par and ultimately capable of reaching salvation, nirvana. This is the most important characteristic that they have, and it is shared alike by men and women, young and old, brahmins and outcastes. Moreover, since what essentially differentiates good action from bad is the intention behind it, ritual of itself has no moral value and most social convention is nothing more than that. Thus the Buddha was a great egalitarian and a great moral teacher, who required everyone to face the fact that they alone were responsible for their destiny. He, if anyone, deserves to be credited with founding a civilization. You depict the Buddha as an activist. However, the stereotype of the Buddha, the PR campaign if you will, seems to promote the idea that if you simply sit in lotus position and wait around for a bit, enlightenment might come and knock on your mental door. Variations of this theory can be found in countless popular magazines and books and CDs and podcasts and videos. I see none of that in your research. What I see is a person who – rather like Henry David Thoreau – practices and cultivates self-reliance and individuality. Passivity, sitting in lotus position without an active and energetic intent to take charge of one’s own destiny is not a Buddhist concept, but may well be a concept in popular psychology or popular culture. It is true, however, that I have not yet said anything about the role of meditation in Buddhism, and meditation may not appear to outsiders as a particularly strenuous activity! My discussion of the Buddha’s thought in this book has almost nothing new to say about meditation as such. I am however very concerned to point out that the Buddha regarded morality as a prerequisite for meditation. I am doubtful whether he would have approved of the modern trend to try to fit an hour of meditation, or even less, into the daily schedule of a lay life. In traditional Buddhist societies too, the laity are exhorted to practice their Buddhism mainly by venerating the Buddha as an example and following his teachings on ethics; meditation tends to be considered a prerogative of the Sangha, and perhaps also practiced by retired people who have the leisure for it. Nowadays in the West – and also in Buddhist countries under Western influence – meditation has become popular as a form of psychotherapy. I am sure that it often works, and I have no objection to good psychotherapy, but this is not really what the Buddha envisaged. You have strong views on higher education. I run an annual summer school at Oxford, an intensive introduction to Pali. There are no prerequisites except willingness to work hard for 12 days. Students attend from all parts of the world. It is booked months in advance, but unfortunately my personal method of teaching means that I have to limit the attendance to 14 students. I start out on the first day by telling the students that this is about cooperation, not competition. We are 15 individuals whose aim is to learn Pali and hope to learn it also by teaching each other. If it is not too bold to say so, I hope we can emulate the Buddha’s concept of the Sangha as a community who wish to progress by helping each other. If you happen to grasp a concept more swiftly than your neighbour, it is your duty to share that understanding. The gratifying thing is that this does actually seem to work. At the end of the course we take a lunch together and I really enjoy the atmosphere, because everyone says that they have managed to make a good start in Pali, but it is also evident that they have become friends. Many go on to keep in touch, and even to work on Pali together. You don’t like exams do you? I dislike exams intensely! I regard them as the enemy of education. To a small extent tests are of course necessary: you have to find out whether someone graduating in civil engineering knows how to build a bridge that will not fall down. But my father said a wise thing to me: If results are what matter, then why can exams at university be taken only once? If for example, you are taking a driving test in this country, you can take it any number of times until you pass; then you can drive a vehicle, because you now have the requisite knowledge and skill. If the result is what matters, then why can you not take a university exam many times as well? Well, my father would have likely responded to your father with the notion that this life we live is rather like a school, whereby the end result is a richer sense of inner knowledge and understanding than we had at the start of our journey. If that is the desired result, then he too would concur with your father that exams seem superfluous. Essentially, there is no correlation whatsoever between the milestones of enlightened thought and the milestone of sitting for an exam. So, for the Humanities at least, it seems you would rather not have your students suffer through exams if you had a choice? The only justification for studying the Humanities is curiosity. While I was still in post, I used to say so to my students. I said that I would not teach them for the exams; but on the other hand, if they studied with real interest, they would probably be at no disadvantage in the exams. The exam situation is getting ever worse. Now in Britain an examiner is required to justify every mark they give. If they give 66% to an essay on the Buddha, they must explain why they think it is not good enough to get 67% but deserves more than 65%. This is not merely ludicrous. Since there can be no rational reason to determine the mark of 66%, the poor examiner is actually forced to be dishonest, to lie. What a betrayal of educational values! Quantification is a pernicious fetish. If Humanities can teach us anything, surely it must be that human qualities cannot be expressed by a percentage. The basic requirement of a university education should be to teach intellectual honesty. That is brother to the personal responsibility the Buddha taught.